David Gottesman was born on 26th April, 1926 in New York. David Gottesman is the founder of First Manhattan Co., an investment firm based in New York. David ‘Sandy’ Gottesman graduated with a Bachelor’s degree from Trinity College, Connecticut. He continued on to complete his MBA at Harvard Business School. In 1962, Gottesman met Warren Buffet and a friendship based on common interests ensued. With a keen intellect and insight into the investment market in the United States at that time, Gottesman became one of the earliest investors in Berkshire Hathaway Inc. In 1964, Gottesman founded his own investment firm First Manhattan Co., which is today managed by his son Robert. First Manhattan Co. is a well-respected investment firm in New York, managing accounts of up to $100 million. First Manhattan Co. provides investment advice and services to individuals, trusts and retirement accounts. The firm specializes in and manages investments in securities and currently has over $16 billion in managed assets. David Gottesman currently owns around 20,000 shares of Berkshire Hathaway Inc. stock and is a member of the board since 2004. Gottesman is on the Forbes List of Billionaires; much of Gottesman’s wealth is derived from his early investment and continued work with Berkshire Hathaway Inc.
David Gottesman has been married to his wife Ruth nee Levy, for over 60 years. The couple is actively involved in philanthropy. All of their philanthropic activities are managed through The Gottesman Fund. The couple established The Gottesman Fund in 1965, in the very early days of David’s career, and has been donating to causes and organizations ever since. The main focus of David and Ruth Gottesman’s philanthropy is in the Jewish community, both in the United States and Israel. They also contribute to organizations investing in education, health programs and arts & culture. Ruth Levy Gottesman is passionate about education and has a master’s degree in Developmental Education, as well as a doctorate in Human Cognition and Learning in Education Psychology from Teacher’s College, Columbia University. In addition to her work with the Gottesman Fund, Ruth is the Professor Emerita and former Director and Clinical Professor of Pediatrics at the Fisher Landau Centre for the Treatment of Learning Disabilities at the Albert Einstein College of Medicine. 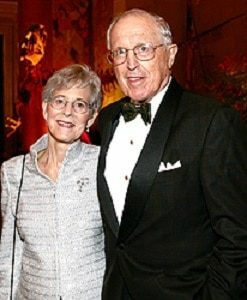 Ruth and David Gottesman recently donated $6.5 million towards the Teacher’s College library and established the Ruth L. Gottesman Math & Science Education Scholarship Fund with a grant of $3 million. In the field of education, The Gottesman Fund has given donations to the Ramaz School in Manhattan, the Golda Och Academy, the Solomon- Schecter School of Westchester and the Abraham Joshua Heschel School. The NYPD Counter-Terrorism Foundation received $50,000. Further abroad, the Gottesman’s have given generously to the Israel Project, the Middle East Media Research Institute (MEMRI) and the PEF Israel Endowment Funds. Over $14 million in donations from The Gottesman Fund have gone to organizations in Israel.